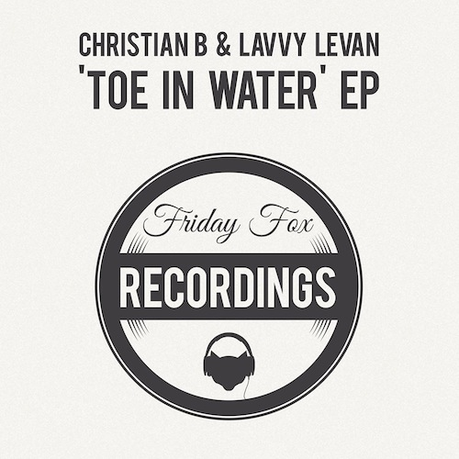 Brand new for 2014, UK production duo, Christian B & Lavvy Levan, make their entrance to the house scene, launching Friday Fox Recordings with their four-tracker, 'Toe In Water EP'. The EP kicks off the party with 'It's on! ', a deep and disco tinged outing that introduces Lavvy's laddish vocal, which features on all four tracks. This is followed by the bassline and vocal hook that bounce to the deep house groove of 'Now?". More signature quirks resonate through the heartfelt song, 'Two Sides', before rounding off the package with the deep house chugger, 'Insatiable'. 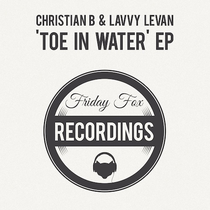 Lavvy Levan: "Bringing some fun to the UK dance music scene – Friday Fox is not hung up on sub-genre or expectation, but simply; good music. Friday Fox loves great dance music from all influences and backgrounds; celebrating individualism and creative freedom is our goal." Pals from a young age, Christian B and Lavvy Levan have always had music at the core of their friendship. The early days included forays into rave and D&B, pirate radio sessions among other musical adventures. Musically reunited in 2013, they decided that the time was right to create Friday Fox and give birth to some individual yet accessible dance music and make their mark on the scene. While Lavvy explored the UK club scenes with his DJ sets, Christian moved into professional studio production writing and producing for Pop Idol and The Voice stars in UK and Germany. He's also had five top tens in the UK and four in Germany and was part of the remix team for Christina Aquilera, Leona Lewis, Alicia Keys and Lemar, among others. Christian also produced house music for Stip Records, more recently releasing with Bonnie Bailey on Strictly Rhythm and Fierce Angels.